Technology has provided people with multiple opportunities for growth and development. The main goals of technology are efficiency, effectivity, and consistency. It has multiple applications in multiple sectors of society, and societies are only just finding out what technology can really do in order to make their lives easier and more productive. We have only just scratched the surface of what it means to work with technology as opposed to letting technology work for us. From transitioning from animal fumes to combustion engines, farmers have made great leaps and bounds in making farming as efficient as possible while still retaining or even improving their production quantity and quality. Over the years, developments in technology have allowed farming to be more efficient than it ever has been. Farmers have invested in using technology as a way to lighten their physical load while not compromising the quality of their produce. Drones, robots, and applications are being used in conjunction with traditional farming methods in order to monitor the farmland. Farmers are now getting more and more interested in investing technology that removes unnecessary physical labor from their daily routine in order to ensure that they can produce the best quality of products that they can. With the help of GPS or Global Positioning System, farmers can now use drones in order to monitor the situation of their crops. 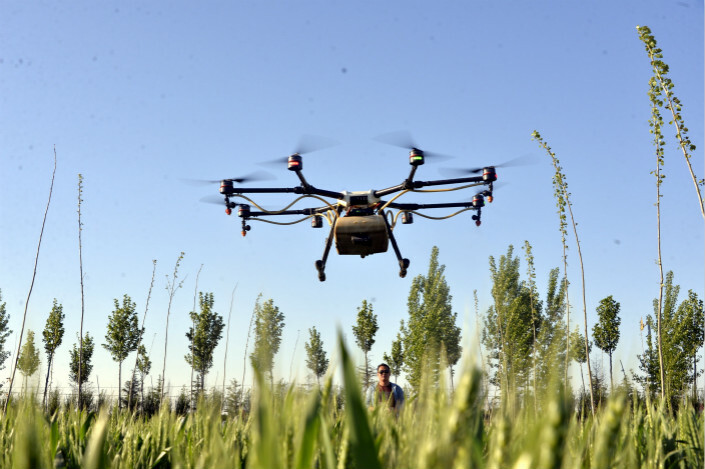 Instead of going out under the scorching hot sun and going through every single crop in the field, farmers can now fly a drone out and use its camera to examine their crops. If a problem is found, the drone is able to send the location of the problematic crop to the farmer by using its GPS system. This means that farmers no longer have to suffer the scorching heat just to determine if their plants are fine or not. Drones are not the only bots capable of helping farmers out. Robots have been created in order to assist farmers in creating an irrigation system. These robots dig out the path that the water needs to follow and sends the data to an application on the phone, which tells the farmer the amount of water these plants are receiving. Not only is this possible with water, but also levels of fertilizer, insecticide, soil fertility, and other information a farmer needs in order to ensure that their crops are of utmost quality. The use of technology has polarized the people within the farming business, with people saying that it is unfair to those who wake up early every single day just to make sure their crops are in top condition. Others say that if you are capable of improving your system, then you should go ahead and just do it. While these robots and applications do help in monitoring your farm, they are in no way a method that should be used to replace farmers. It still requires a farmer to monitor the farm and provide it with the best care possible. These innovations just allow them to do it in a way that is easier for them to do. Farming is a vital part of our society. Without farming or farmers, we would not have food on our plates. People would have difficulty surviving because they have no produce to sell. These innovations prevent those sad scenarios from happening. They exist as a tool for farmers to produce their products efficiently, effectively, and constantly without having to worry about mistakes. Ultimately, while drones, robots, and apps surely help a lot, farmers are still the lifeblood of every country.